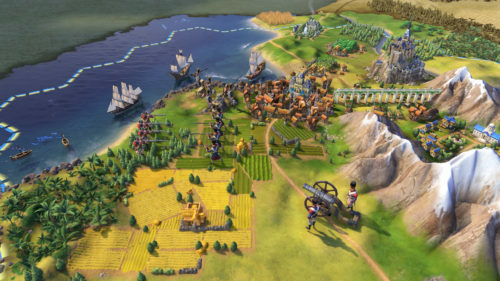 Download Sid Meier’s Civilization 6 (2017) for Mac OS. Very popular turn-based strategy video game developed by Firaxis and published by 2K. 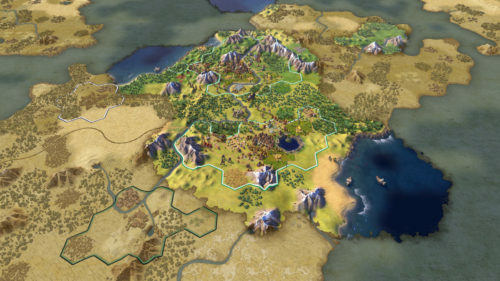 Civilization VI is a turn-based strategy video game in which one or more players compete alongside computer-controlled AI opponents to grow their individual civilization from a small tribe to control of the entire planet across several periods of development. This can be accomplished by achieving one of several victory conditions, all based on the 4X gameplay elements, «eXplore, eXpand, eXploit, and eXterminate». — New game engine with support for a day/night cycle and camera rotation. — Cities will now span multiple tiles, called «districts.» Wonders are similarly constructed on tiles rather than within the city itself. — Workers have been replaced with Builders that complete their jobs instantly but have only a limited number of uses. — City growth is kept in check by a Housing metric, which is increased by certain buildings, fresh water, and tile improvements. Happiness is once again per-city, and improved through Amenities.